ZX Spectrum: Great Games from A-Z features a carefully chosen list featuring 26 of the very best games released for the hugely popular 80s home computer, with full colour screen grabs. Each game is comprehensively reviewed by the author, Carl Stapleton. The 80s brought us a home computing revolution, and the very quirky and British ZX Spectrum found its way into around 5 million homes. The Speccy had a very vibrant gaming scene, with over 10,000 releases, including many from teenage coders who produced some very imaginative ans successful titles from their bedrooms - something that would be impossible today on consoles such as the PS4 and XBox One. Now, while the book is clearly written in an easy to understand, descriptive manner, I would like to have seen shorter paragraphs with a space between each one. However, although this is slightly annoying, this didn't significantly affect my ability to enjoy reading the book. I like the fact that the author hasn't always gone for the obvious, most popular choices, and it's interesting to read about the games that I never got around to playing, or can't even remember. However, there's no getting away from the fact that there are there are only 26 titles, so the chances are that you may never have played any of these titles. It would have been nice to have seen maybe 100 games featured, even if with only a brief review of some of them. Nonetheless, the choice of games is diverse, and includes some interesting titles such as the puzzle game Split personalities, the turn-based, tactical war game Rebelstar by Firebird, the track and field game Hyper Sports by Imagine (which rivalled Daley Thompson's Decathlon in terms of playability), a horror-themed platformer called Frank N Stein, and the 3D motorcycle game Enduro Racer by Activision, which was an excellent port from the arcade game. I'm also pleased to see the text adventure The Very Big Cave Adventure. Such games had a cult following back in the day, and they were a welcome change to the more arcade-like games. 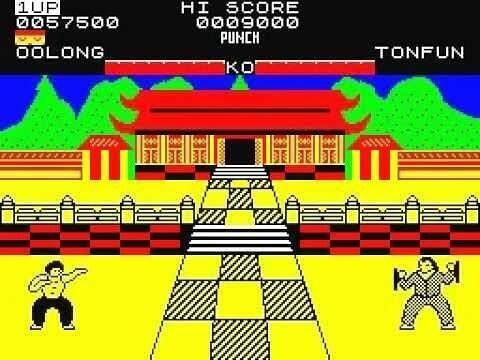 The author's choice for Y (I'm pleased to say), is the very satisfying Yie Ar Kung-Fu by Imagine, which is a gem of a game (a brilliant conversion of the arcade game) you may have missed, instead, opting for one of the other martial arts beat-em-ups International Karate or Way of the Exploding Fist. As mentioned, the author has mainly (but not always) steered away from the most popular and best-remembered titles such as Chuckie Egg and Jet Set Willy, which is a brave move. It's refreshing to actually read about the slightly less mainstream games, and, I guess, you can find endless articles about these on the web, anyway. In conclusion, this is a thoroughly enjoyable read, but the very limited choice of game titles and the layout of the paragraphs needs improvement. Nonetheless, Carl has managed to pick some real long-forgotten gems that deserved to be in every Speccy owner's collection.